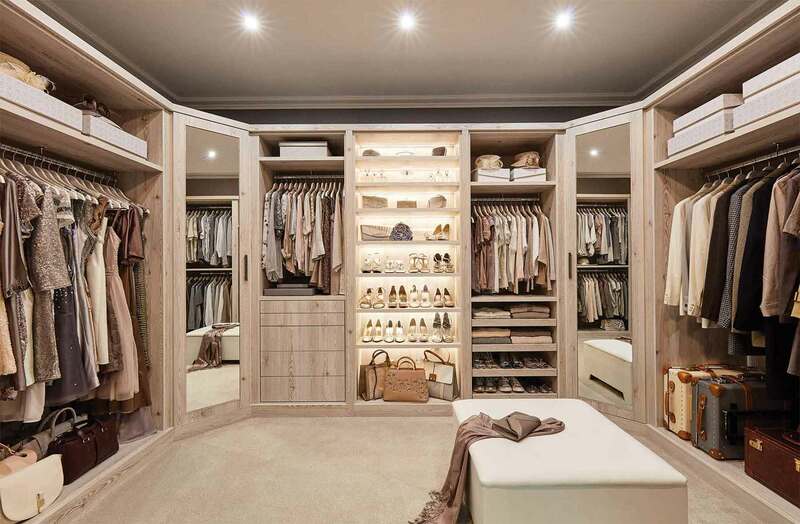 We all dream of owning a beautiful wardrobe or dressing room full immaculate clothes, neatly hung and expertly organised. The reality is often a little different, we never seem to have enough space and spend mornings struggling to find anything to wear. 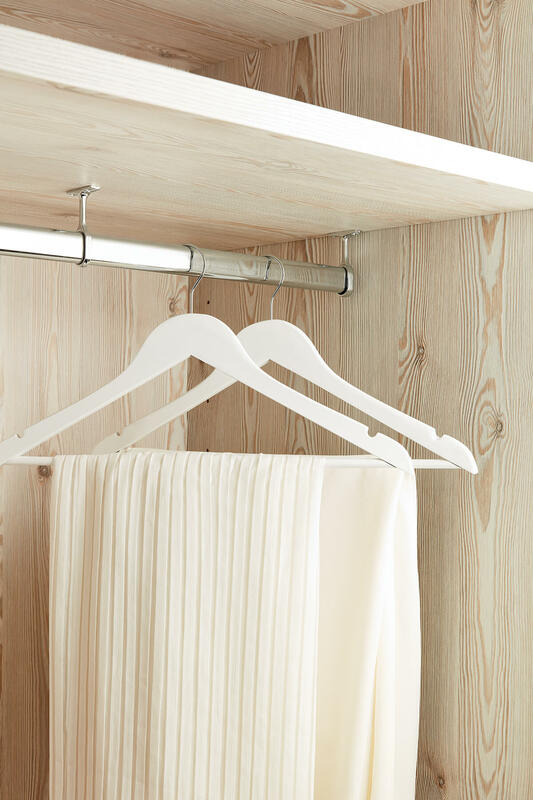 A little imagination and clever management goes a long way in building your dream wardrobe. An essential first step is a regular seasonal reassessment and fairly ruthless clear out, especially of any clothes or accessories that haven’t been worn for over a year. Do you have open shelves, rails or maybe drawers too? 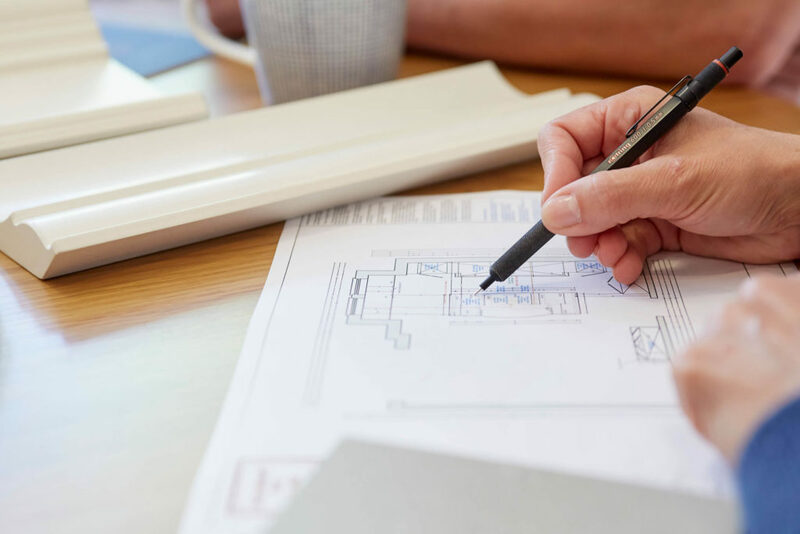 A look through your wardrobe should tell you which solution you need to use more effectively and which areas you need to take the pressure off. 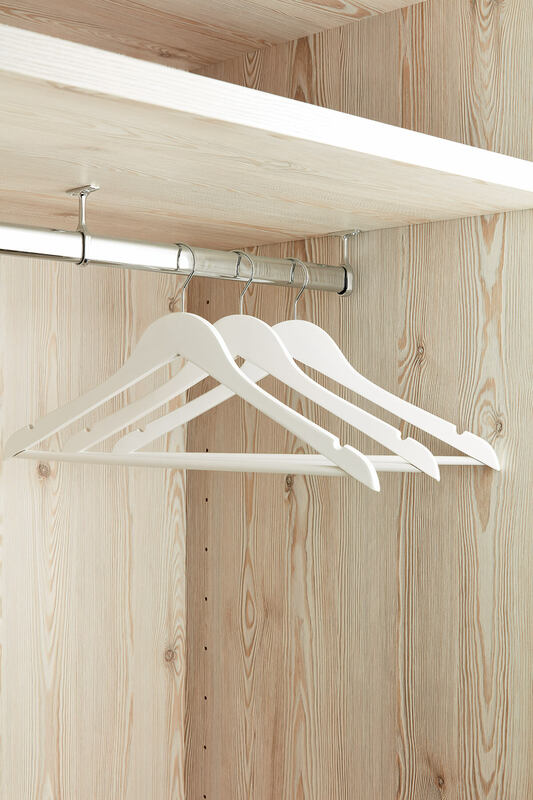 It’s essential to utilise every space possible, there’s no point in hanging every piece you own when clothing like cotton t-shirts and trousers can be folded neatly elsewhere. There are many techniques in achieving the perfect wardrobe, most of them come with clever planning, decluttering and considered design. Read below our top tips. conduct quick sweeps and tidies of our wardrobes we often struggle making decisions on what to keep and what to throw out. We’ve all done it and become attached to clothing we buy, we tell ourselves we’ll wear it one day, or maybe save it for a special occasion. taken out. A useful tip is to place it all on the bed, this makes it easier to view everything without having to keep reaching for the floor. When hanging or folding your ‘keep pile’ back into the wardrobe make sure everything is visible. Often, we place things towards the back of the wardrobe or tightly pack them in, this makes it easy to forget what we own and have to wear. When clothing is separated and displayed well it’s much easier to style and grab an outfit to go. If you’re unsure of what to keep, or have items you haven’t worn in months, try them on! This will make the decision simpler and will highlight whether you still like them or they fit. Seasonal evaluations are not only to throw out possessions and make room, they’re also a chance to store away last season’s wardrobe, freeing up valuable room, replacing them with new. Balance out your wardrobe and think about what you want access on a daily basis. 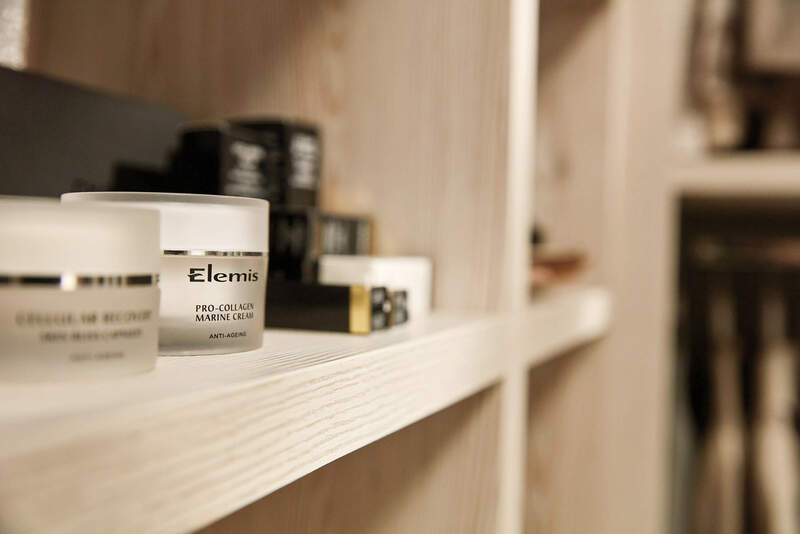 Open shelving is great for keeping everyday essentials such as shoes, beauty products, additional storage boxes and bags. When organising your shelves place shoes towards the bottom and least used products like luggage towards the top. If you have a shared wardrobe space lightweight, movable storage boxes are great for ordering small items such as winter accessories, socks, swimwear and t-shirts. This will create an organised personal system for both yourself and others. Assess the space you have to work with, and decide how much you can keep without the wardrobe becoming overcrowded. Look at what you wear regularly, if you have clothing you’re unsure of or have not worn within the last couple of months then throw it out. When creating a capsule wardrobe think about keeping it personal simple. Form a structure and start with basics that can be worn in conjunction with multiple items. Once you’ve found your base such as jeans, t-shirts and plain shirts choose pieces that add personality not forgetting occasion wear, a coat and shoes. Create seasonal capsule wardrobes that you can either bring out in summer or winter. You should be creating around 6 outfits that can all be rotated and styled collectively with each other. Once you have styled and curated a capsule wardrobe a few times you will begin to learn which items you wear all the time and which ones you no longer need. Holiday wear may not be needed all year round so store this in a suitcase or spare box at the top of your wardrobe. There are so many clever integrated details available. 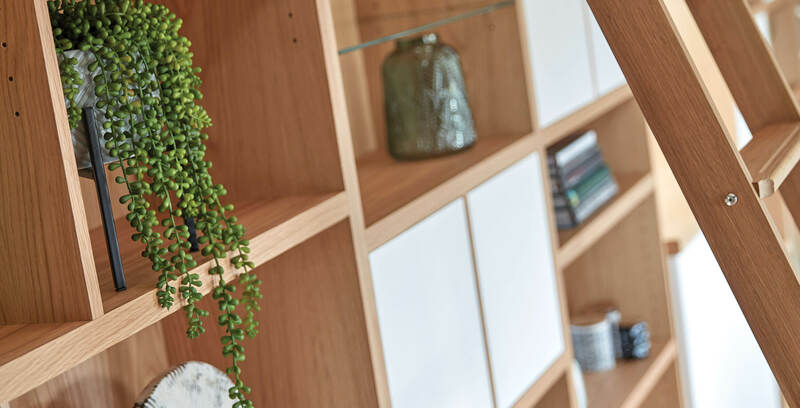 Take shoe storage, rather than storing them at the bottom of your wardrobe in a pile or in boxes, introduce integrated pull out shoe racks with soft close mechanisms or indulge in a full shoe wall with integrated lighting. 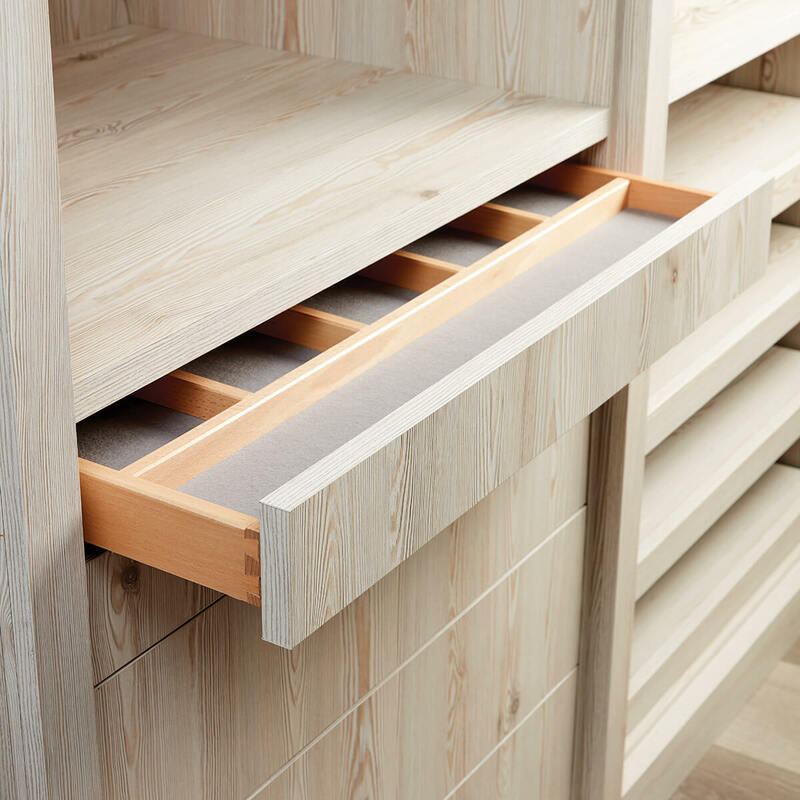 For small accessories, watches, ties and more, you can easily display and conveniently store them in bespoke drawers with integrated dividers. 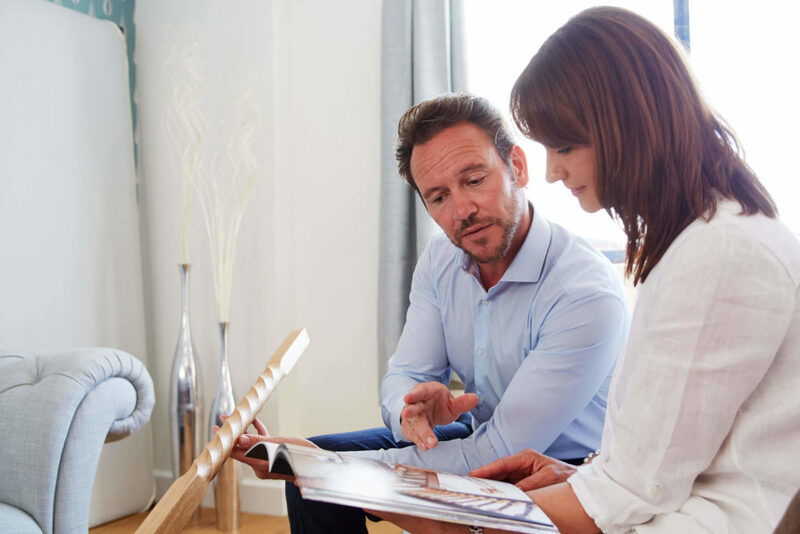 You can ensure your favourite possessions are always on display and never forgotten. Discover some of our stunning bedroom and dressing room designs here.